These shafts are strong & ridged. 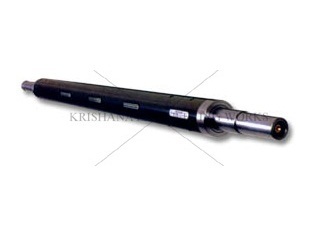 Standardized design allow us to manufacture the shaft in any size diameter. The same design can be offered for heavy duty to light capability shaft. Simple design ensuring a long service. Staggered lug design makes it best in winding application. Each gripper offers a designed chamfer for easy core insertion. Dimensional tolerance of journal is very tight for better fitting & rigidity during operation. Lug: Steel, Rubber or Plastic.